Those of you who have been waiting for us to post these, wait no longer! 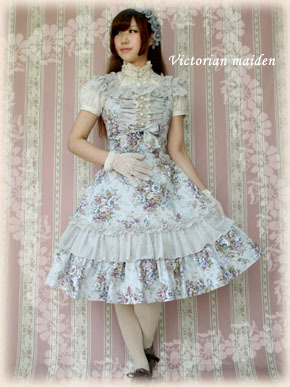 We now have the Elegance Lady and Classical Bouquet coordinates up on our Victorian maiden reserve page for ordering. Unfortunately we cannot take reservations for the Elegance Lady skirt. But all other items in these two series are available. Visit the VM reservation page for more info or to order.